LIC Housing Finance Assistants, Associates, Assistant Managers Recruitment 2018/ LIC Housing Finance 300 Assistant, Associates, Assistant Manager Posts 2018 Notification: Life Insurance Corporation of India, Hosing Finance Limited has given notification for the recruitment of Assistant and Assistant Manager Posts. The LIC, Housing Finance invites online applications from eligible candidates who must be Indian Citizen for selection and appointment as Assistants, Associates, Assistant Managers. How to apply for LICHFL Recruitment2018? Applicants must fall in the age bracket of 21 to 28 years as on 1st January 2018. Assistant – The selected candidates will be eligible to receive a monthly pay of Rs.13,980 – Rs.32,110. Associate – The selected candidates will be eligible to receive a monthly pay of Rs.21,270 – Rs.50,700. Assistant Manager - The selected candidates will be eligible to receive a monthly pay of Rs.32,815 – Rs.61,670. The online examination will be separate for Assistant and Assistant Manager. It will be in English language only. There will be penalty for wrong answers in the online examination. For every wrong answer to a question given by the candidate, one fourth or 0.25 of the marks assigned to that question will be deducted as penalty to arrive at corrected score. If a question is left blank, i.e. no answer is given by the candidate; there will be no penalty for that question. LIC HFL reserves the right to fix the minimum cut- off marks, section wise as well as on total in the online examination in order to finalize the number of candidates to be called for the Interview. The corrected scores obtained by each of the candidates in different sessions (if held) will be normalized using equipercentile method. Decision of the Company in this regard shall be final and binding on the candidates. No correspondence will be entertained in this regard. combined marks of Online Examination and Interview strictly according to the merit ranking, subject to minimum qualifying marks in the Interview. The final merit list and selection will be separate for the post of Assistant & Assistant Manager. The Company reserves the right to change the selection procedure, if necessary. Selected candidate will have to undergo Medical Examination and will be appointed as Assistant/Assistant Manager subject to him/her being found medically fit by the Medical Examiner authorized by LIC HFL for this purpose. The application fee(online payment) is Rs.500/- for all candidates and non-refundable. Applicants have to bear the Transaction charges as applicable for online payment. The applicant needs to pay Rs.500 plus 18% GST as application fee. (i) Candidates should fill in the details in the Online Application at the appropriate places very carefully and click on “SUBMIT” button available at the bottom of the Online Application page. Before pressing the “SUBMIT” button, candidates are advised to verify every field filled in the application. A provisional Registration Number and Password will be generated by the system and displayed on the screen. Candidate should note down the Registration Number and Password. An email & SMS indicating the Provisional Registration number and Password will also be sent on the mobile number and email address provided during registration. The name of the candidate and his/her father/husband etc. should be spelt correctly in the application as it appears in the certificates/mark sheets. Any change/alteration found may disqualify the candidature. At the time of Online examination, the acceptable identity proof should also bear the same name. (vi) If the online transaction has been successfully completed, an e- receipt will be generated. Non-generation of 'E-Receipt' indicates PAYMENT FAILURE. On failure of payment, Candidates are advised to login again using their Registration Number and Password and repeat the process of payment. (vii) Candidates are required to take a printout of the e-Receipt and online Application Form. Please note that if the same is not being generated, online transaction might not have been successful. (viii) There is a facility to print application form containing fee details after payment of fees. • After submitting your payment information in the online application form, please wait for the intimation from the server, DO NOT press Back or Refresh button in order to avoid double charge. • To ensure the security of your data, please close the browser window once the transaction is completed. 1. 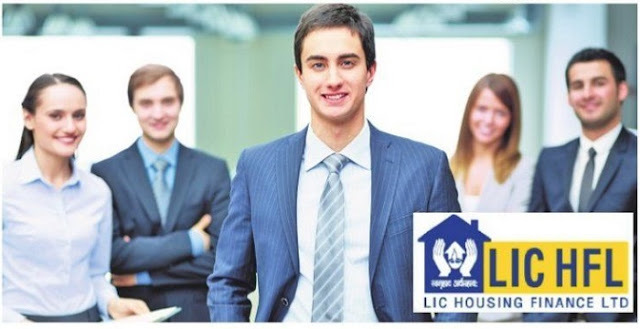 Candidates are necessarily required to apply On-line through LIC HFL’s website (www.lichousing.com). No other means/ mode of application will be accepted. The candidates will be required to provide registration number and password of RRBs-CWE-III for Assistant/Assistant Manger while registering. A. Candidates satisfying the conditions of eligibility as on 01.01.2018 are required to log in to the LIC HFL’s website and click on “Careers” and go to “Job Opportunities” to open the page “RECRUITMENT OF ASSISTANTS/ ASSOCIATES/ASSISTANT MANAGERS”. Option is available on the page to view the detailed advertisement and also to Apply Online, which will redirect the candidates to the online registration page. The candidate is required to keep details about bio-data ready to enable him/her to fill up the application form correctly. The name of the candidate and his/her father/husband etc. should be spelt correctly in the application as it appears in the certificate/mark sheets. At the time of online examination, the acceptable identity proof should also bear the same name. FOR SCANNING AND UPLOAD OF DOCUMENTS” mentioned at the end. Signature in CAPITAL LETTERS will NOT be accepted. The left thumb impression should be properly scanned and not smudged. The text for the hand written declaration is as follows – “I, _______ (Name of the candidate), hereby declare that all the information submitted by me in the application form is correct, true and valid. I will present the supporting documents as and when required.” The above mentioned hand written declaration has to be in the candidate’s hand writing and in English only. If it is written and uploaded by anybody else or in any other language, the application will be considered as invalid. C. In the event of the candidate not being able to fill the data in one go, candidate can save the data already entered. When the data is saved, provisional registration number and password will be generated by the system and displayed on the screen. Candidate should note down the provisional registration number and password. Email/SMS indicating the provisional Registration Number and Password will be sent on the mobile number and email address provided during registration. Candidates can reopen the saved data using provisional Registration Number and Password and edit the particulars, if needed. The facility will be available for three times in all. Once the application is filled completely, candidate should submit the data and pay fees to complete the registration process. D. A valid personal Email ID and Mobile No. should be kept active during the currency of this recruitment process. All sort of communication/intimation will be sent to registered email id/mobile no.